Welcome to Rob Jackson Studio !! This is a general information page that summarizes most of the important things that you (or your parents) will need to know as you become an active student with us. There is a lot of information here, please try to read over it and pay attention the to areas that apply to your individual situation. We are located at 4219 Hillsboro Pike, Nashville, TN 37215 in the Green Hills neighborhood. 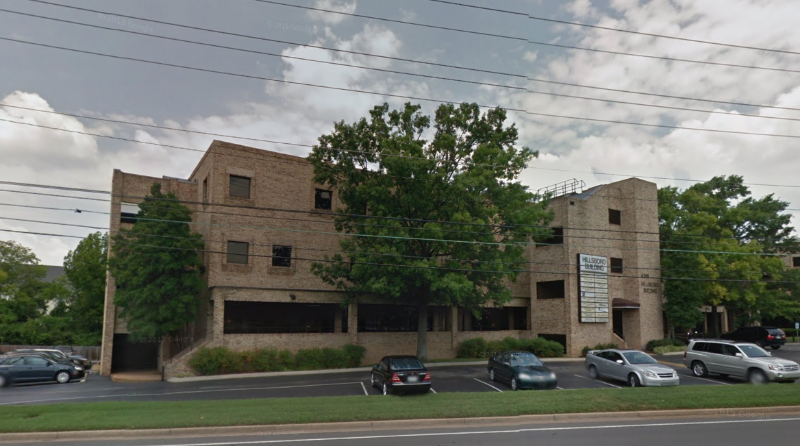 The name of the building is the Hillsboro Building (it's a brick office building) and it faces Hillsboro Pike and has a large marquis on the front with a list of all the businesses inside, including Rob Jackson Studio. The studio phone number is (615) 579-1185. You can get internet directions and even see what the building looks like with the Google Maps link on my website. The studio is on the second floor, suite #221. If you have ever been to the Bluebird Cafe, my building is about one block past the Bluebird, on the opposite side of Hillsboro, driving away from town. If you are driving in from out of town, you will probably be coming into Green Hills from the Hillsboro Pike exit off of I-440. If so,please allow at least 30 minutes for the drive between I-440 and my building, even though it is only about a 2 mile stretch. Traffic on Hillsboro Pike is often backed up in the afternoons from about 3 pm until 7 pm. If you arrive at my building early, you are welcome to hang out in my super-lazy waiting room, complete with cool rock and roll posters. The Hillsboro Building is locked automatically every weekday after 6 pm, and all weekend long, 24 hours a day. Therefore, if it is your first visit to Rob Jackson Studio, please call the studio number at (615) 579-1185 as soon as you arrive in the front parking lot so I can let you in the front door of the building. If you get my answering machine, go ahead and identify yourself, and I will be down to let you in within one minute. I have a private entrance with a doorbell, but its not easy to find unless I show it to you, which I will do at the first meeting. At the first meeting, I will need to check out your guitar or other instrument that you will be learning on. It is important that your instrument be properly set up and adjusted to play correctly. Many people purchase an instrument without the guidance of an experienced musician, and sometimes your instrument may need some work done to it, or may even be impossible to learn on. There are many excellent instruments available for a modest amount of money, and we are glad to help you find something that works at a good price. But if you have an instrument already, we will not teach you unless it is adjusted and plays properly. It is impossible to learn on an instrument with really bad action, it can not be done, so if you are dragging in an old guitar that your great grandfather played in World War I, be prepared for a stern reaction. If you do have an old guitar that has sentimental value, we can send you to guys who can fully restore it , but its very expensive. But you must have an acceptable instrument to learn on. We are glad to help you with that. You must also have a way of listening to and practicing along with recordings that I give you at your lessons, in CD or Mp3 format. Most people now keep their music on cellphones or an iPod or their laptop, or whatever the latest digital craze is (streaming,etc...), but real musicians still prefer listening to music through speakers that actually move the air. The ears of most Americans have become extremely “dumbed down” due to Mp3 technology. My teaching method (which is unsurpassed in terms of developing strong musical skills quickly) requires that you have a way to play CDs or Mp3 tracks so that you can practice along with the accompanying recordings, just like playing with a real band. A computer with good speakers, or a good set of headphones, or a boombox or stereo system, some people transfer the CD tracks and/or Mp3 downloads into iTunes and use an iPod player, etc etc etc.... there are many ways of producing audio sound, but if you are serious about learning from us, you are required to have a way to play the instructional musical tracks loud enough to practice the strums and picking patterns. This is mandatory !!! You need something with speakers, or else a digital guitar headphone trainer that plays mp3 tracks and also plugs in your electric guitar, there are many options, but you must practice with the CD or Mp3 tracks, one way or the other. Again, if your whole world is limited to listening to music on your cellphone, we can not help you; if you are not moving air, you are not really hearing or playing real music. All of my teaching tracks are available in hard-copy CD form, as well as free online Mp3 downloads and/or streaming capability directly from my website. There are 3 different ways that students can arrange their lessons. They can have a regular weekly or alternate-weekly slot, or they can opt to schedule lesson-by-lesson, or “a la carte”. For most people with fairly set schedules and serious commitment to learning music, a regular weekly or alternate weekly slot makes sense. Motivated students who have a lesson every other week can actually learn just as fast as weekly students. The amount of dedicated practice time is the critical component. Lessons are not cheap, and alternate weeks can work very well for many people if they are doing their homework. For people who have ever-changing, unpredictable schedules, or for those who live in other states and other countries who would like to come to Nashville once, twice, or a few times a year, we can set up lessons “a la carte” so that you can continue your musical education when you are able to get to Nashville. I have a proven track record with long-distance commuting students, even with just a few lessons under their belt, at least 3 of my testimonials on my website are from people in other states who came into town when they could get here, just to work with me, and it made a dramatic improvement in their abilities, within a short time !! So I am willing to be as flexible as possible with people anywhere in the world who have serious commitment to playing well. Currently, my going rate for weekly half hour lessons is $45, alternate-week lessons are $45 per half hour, and “a la carte” lessons are $50 per half hour or $100 per hour. William Dyer (my assistant teacher) currently charges $35 per half hour, weekly or alternate-weekly. Check or cash is fine, and we also accept cards and Paypal. Students who are in a regularly-scheduled weekly or alternate-weekly slot are required to pay at the first lesson of each month for all lesson slots in that month, including ones that may be canceled by the student. We do require payment for all regularly scheduled lessons. If you need to cancel a lesson, some makeup time is available if you don't cancel a lot of your lessons, but makeup time is NOT guaranteed. Makeups are by availability of free time in our schedules, which is very limited. Students who have a very unpredictable schedule are better off setting up lessons one at a time, or "a la carte", so that they do not have to pay for a lot of lessons that are cancelled. We never charge students when we cancel lessons, which does happen from time to time. Students who are booking lessons on an “a la carte” basis may pay for each lesson as they go, but they must cancel at least 24 hours in advance unless they want to pay for the slot outright with no makeup time. I try to deal with people in a straightforward, honest manner. If you have any questions, issues, concerns, or anything that's bugging you at any time, please email me right away and let's get it figured out. I do not try to be all things to all men, etc. I am a highly experienced and very dynamic music teacher, and I try to tune into the individual students that I teach, that is the only way to achieve great success. Everybody is different. If you are looking for a slick, academic, dry, one-size-fits-all, corporate guitar teacher, please go elsewhere immediately. If you want to get serious, Rob Jackson Studio is the right place for you. I look forward to meeting you and working with you.